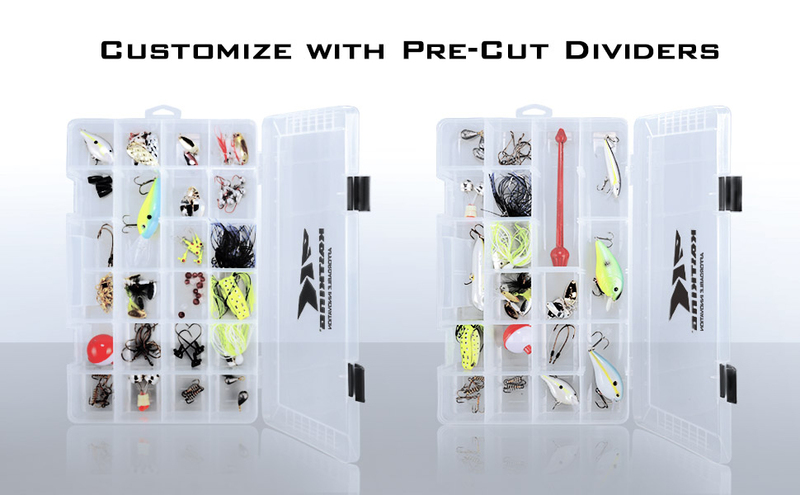 Multiple Use– The adjustable dividers provide the flexibility to load your utility case with plastic baits, terminal tackle, nuts, bolts, screws, beads, wire, spools of thread, or just about any small item. 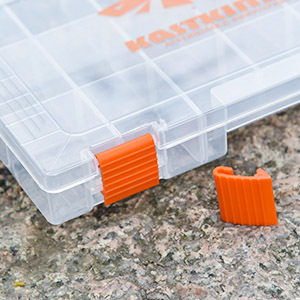 KastKing utility trays offer the versatility to store and organize everything from fishing tackle to items for your favorite craft project. 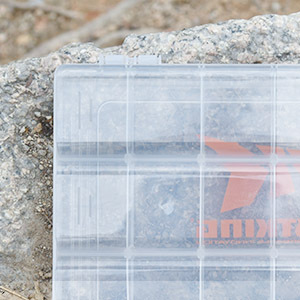 Quick Identification – The clear, yet durable material allows you to see the contents of your lure box without having to unlatch and open the lid, making it quick and easy to find and change baits at a moment’s notice. 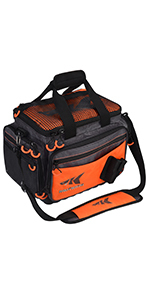 Robust construction – Built with a thick rugged frame, the KastKing fishing tackle box provides anglers with a durable storage and organizing solution for hard baits, plastics, terminal tackle, and tools. Our sturdy molded latches ensure contents stay secure. 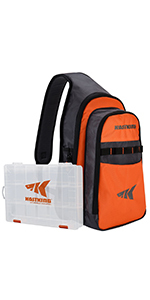 Compatible With Standard Tackle Bags – KastKing 3600 tackle box and 3700 tackle box are designed to be interchangeable with all KastKing tackle bags, and will also fit into any standard size tackle bag with a 3600 or 3700 size footprint. 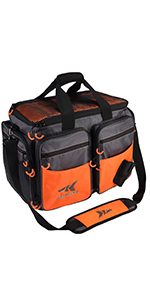 Keep all your fishing tackle organized and secure with the rugged KastKing tackle cases. 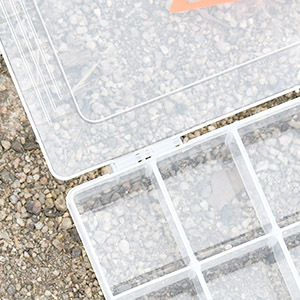 These adjustable compartment trays with durable molded latches are ideal for managing all your soft baits, hard baits, terminal tackle, and tools. Never miss that big fish again because you had the wrong bait on your line. Our clear-view material allows you to see to the contents of your tray to quickly find the perfect bait you are looking for. 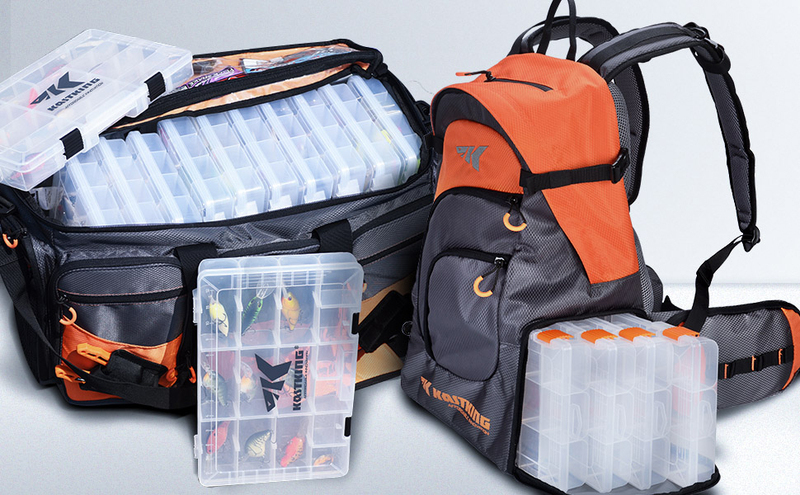 If you have other hobbies, the KastKing tackle boxes are also ideal for organizing materials for craft projects such as beads, wire, spools, and small tools. Clean and organize your shop or garage, these trays are great for storing nuts, bolts, screws, and other small hardware. 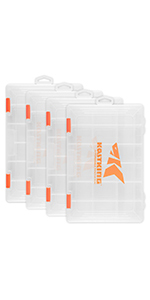 These 3600&3700 trays are perfect for your new KastKing tackle bag, however they are also compatible with any 3600 or 3700 size tackle bag on the market. 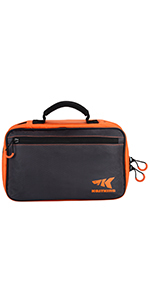 KastKing versatile utility tackle boxes come in a value pack of Two or Four! Larger than expected. Will use to hold keys for rental building. Reasonable price and good value. I like the size f the compartments. Probably not as cheap as they would be without the KastKing name on them but definitely worth it. Solid little boxes that should keep closed securely while bouncing around in my backpack. The two of them fit perfectly in my 30" pack with plenty of room to spare. So do you get four 3600 and four 3700 for 19.98 or just one or the other because I didn’t see where I could select between the two? We have the orange and black boxes. 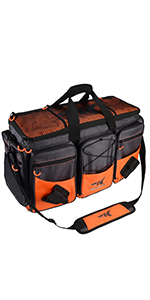 You can choose the orange for four 3600 size, and black for four 3700 size.